Celebrating the life of Brian Duncan Sr.
Be the first to share your favorite memory, photo or story of Brian . This memorial page is dedicated for family, friends and future generations to celebrate the life of their loved one. 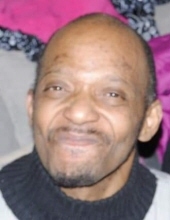 Obituary for Brian Duncan Sr.
Brian Maurice Duncan Sr., 48, of Peoria passed away on Wednesday, April 3, 2019 at UnityPoint Health Methodist in Peoria. He was born January 2, 1971 in Galesburg to Gregory M. Duncan and Glenda Stacey. His father and son, Lorne Duncan preceded him in death. He is survived by his mother, Glenda Williams; children, Anthony M. M. Duncan, Brian Duncan Jr.; step-son, Joe C. William; siblings, Davina Morris, Tyrone Hodges, Nicole Jackson Hall and grandchildren, Lorne Christopher Maurice Duncan and Angel Nevaeh Denise Duncan. Brian deeply love his family. He was a great father and outgoing man. He had a great smile and great sense of humor. He loved technology. Brian was a Gift of Hope donor. Cremation has been accorded and a memorial service will be held on Wednesday, April 10, 2019 at 12 noon at Ward Chapel AME Church 511 N. Richard Allen Dr., Peoria, IL 61605. To send flowers or a remembrance gift to the family of Brian Duncan Sr., please visit our Tribute Store. "Email Address" would like to share the life celebration of Brian Duncan Sr.. Click on the "link" to go to share a favorite memory or leave a condolence message for the family.